For the past two and half years Nuwamanya Winnie has worked hard promoting healthy living in her community by tirelessly volunteering as a Village Health Team member. Driven by her desire to improve home hygiene and sanitation throughout her community, which she recognizes as being central elements to healthy living and wellness, Winnie works to inspire her neighbors by making her own home an example of healthy habits and practices. Her efforts have clearly paid off, as she is one of HCU’s home hygiene competition winners. Winnie welcomes all visitors to her home with pride! There, she only has one rule- visitors must choose to learn about one healthy practice they see during their visit and then must try to implement a similar innovation at their own home. Winnie even offers her own guidance and support should it be needed. Winnie’s influence can be seen throughout the community, as healthy habits have spread to neighbors all around her village. Her peers proudly show off “Tippy Taps”, energy saving stoves, and immaculately clean homes, giving much credit for these habits to support and leadership from Winnie. Since becoming a VHT Winnie says she has gotten to know many new friends in her village and has a strong sense of community with her fellow VHTs; not surprising given her warm welcoming demeanor. 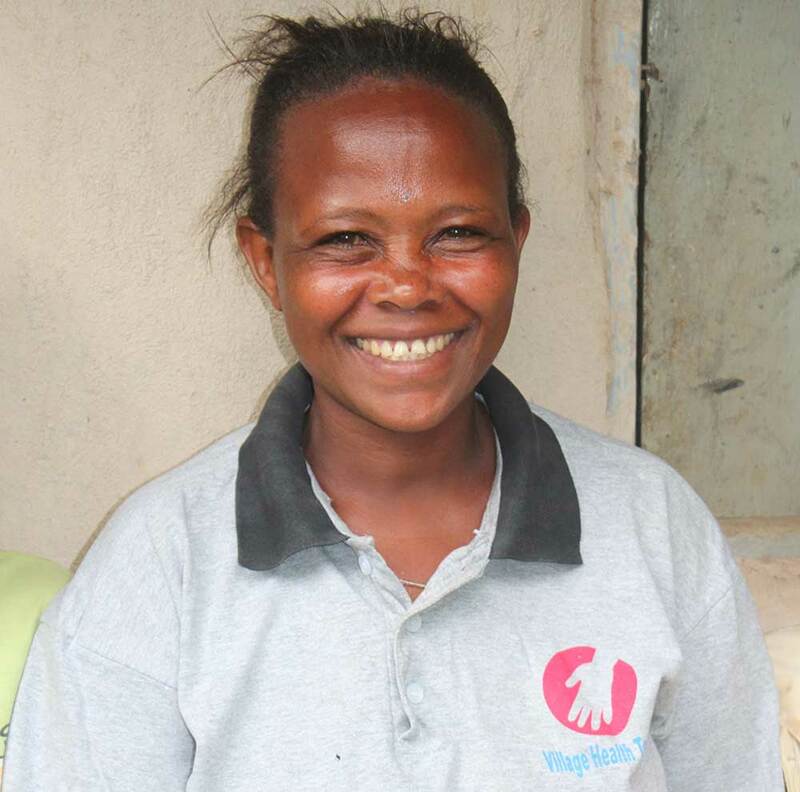 Winnie cherishes the knowledge and skills she has gained through iCCM training, and she is very proud of her ability to treat children in her community. Somehow, when not checking in on neighbors too ensure hey are maintaining healthy practices around their homes, or treating sick children in her village, Winnie finds time to share her knowledge at community health talks. Winnie’s commitment and dedication to serving her community make her an inspiring and strong woman and one of HCU’s stand out VHTs.